There is another sad news that Dr. Abigail Salyers, former ASM President, has passed away earlier this month. It’s a forever lost to the scientific community. She is well known for her work in pathogenesis and antibiotic resistance. 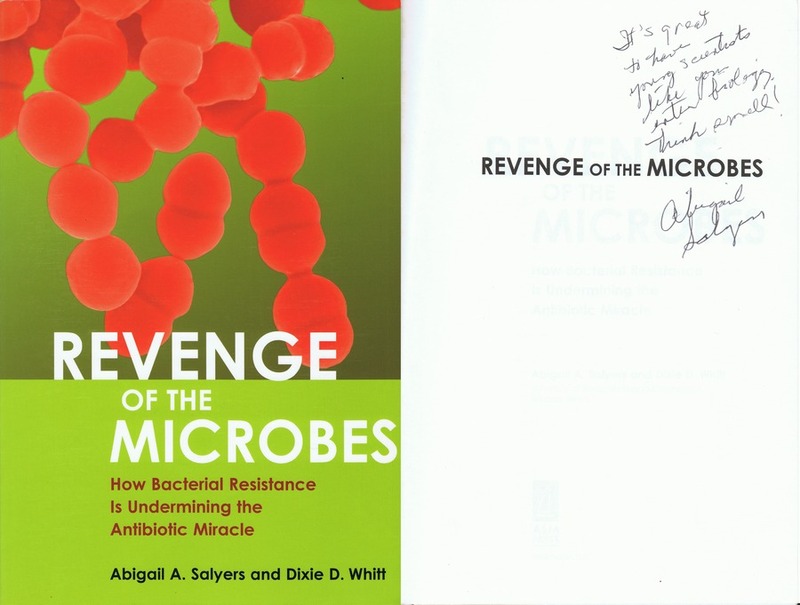 Her book “Revenge of the Microbe” is an enjoyable piece of work for the general public on the topics of antibiotic resistance. I got her signature for the book after one of her talks a few years ago, as shown below. To deal with the big picture on public health, we must think small.